Are You Mentally Ready to Go on Race Day? Wise words, to be sure. So, it’s no big surprise that the way we prepare ourselves for competition plays a big role in how we end up performing. We do our best to eat properly, fueling ourselves so that we have high levels of energy, while also promoting recovery. We get to bed early—which can be a little challenging at times with the added energy from tapering—so that we “stockpile” rest in the days and weeks before we race. And we do everything we can in and out of the water, whether it’s doing extra technique work, cleaning up the details on our start, or spending extra time performing mobility exercises. While our physical preparation is thorough, what about the mental prep? How much thought and consideration are you giving to your mindset in anticipation of race day? For a lot of swimmers, this part of their overall preparation is overlooked. 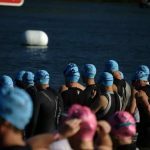 Even though you may have worked your tail off in practice for the weeks and months leading up to racing, you probably know that all it takes is for you to be a little unfocused or too anxious to have it all come crashing down on race day. 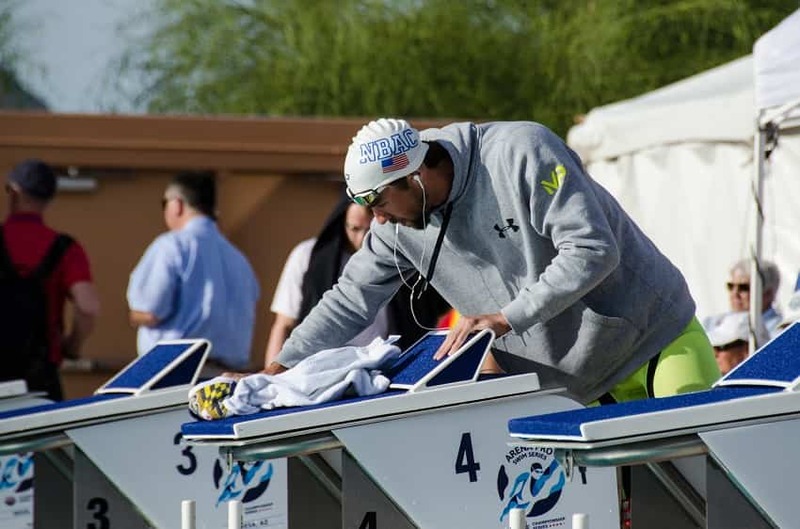 With your pool warm-up there are clear and specific instructions on what you are supposed to do. When it comes to your activation and dynamic warm-up during dryland you are given a specific set of exercises and drills to perform. Rarely is this the case when it comes to your mindset. It can be tacked on to your current warm-up routine. One of the myths of mental training is that it takes a whole ton of time. Not so. 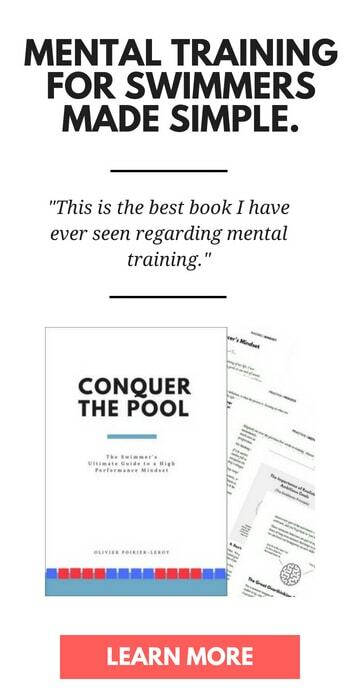 In fact, the best way to do mental training is to incorporate it within your swimming. You don’t need to forfeit time or energy from your physical warm-up; the mental warm-up compliments it and can usually be done at the same time. Helps you perform more consistently. It’s exhausting being the swimmer who doesn’t really know what to expect when they stand on the block. Are they going to choke? Are they going to swim out of their minds? Not paying attention to your mindset means you are the whims of what is going on around you, making your performances unpredictable and inconsistent. Most painful of all, it makes you feel helpless. You’ll swim faster. Is there any better benefit than this? Nailing both your physical and mental warm-ups will help you maximize everything you have invested into yourself in practice. No regrets, no wondering “what if”—just the raw speed and power that comes with being able to make the most of your abilities and training. 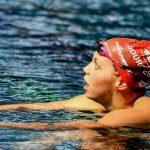 Having a mental warm-up—mainly for competition but a more compact version can be just as effective for charging up your practices—helps you make the most of your swimming. What you will need to be ready mentally will likely be different from your teammates. Which is cool. Pick and choose things that match up to your needs in the pool. 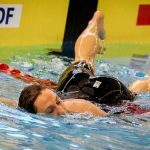 If you find that you get too physically anxious before big races or really hard sets, lean on relaxation drills like journaling, deep breathing, and mindfulness training. If you need to increase intensity before the big race because it’s a dull in-season meet that no one cares about, add some mental strategies—visualization, aggressive self-talk—to give your intensity levels a jump. Have your relaxation strategies at the ready. Big expectations bring with them large slabs of anxiety. Some nervousness and excitement is not only okay, but preferred (“butterflies”) as it narrows your focus, enhances blood-flow to target areas and puts you into compete mode. But too much anxiety and our performance craters. Have a couple relaxation weapons on hand to adjust your stress and anxiety levels. Putting together a pre-race routine. What’s your pre-race routine look like? 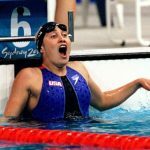 What are the things you are going to do to be fully primed to swim fast? Having a pre-race plan helps build confidence by giving you a series of things that you can control. 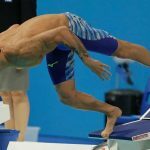 In his 2008 book No Limits: The Will to Succeed (Amazon), Michael Phelps outlined how his entire race day was planned out—from the breakfast he ate, to the stretching routine he did before warm-up, to the meet warm-up he did, to the way he stretched behind the blocks, to the famous double-arm back-slap. You don’t need to have your whole day mapped out to the minute, but having 3-5 things you are going to do in the lead-up to your race gives you a momentum-building sense of familiarity and increased self-belief. Visualize the perfect (and not so perfect) race. Spend a few minutes visualizing your ideal race. How you want to feel in the water. The focus you are going to have. Your reaction to unanticipated stuff like blowing a tire on a turn or choking on some water. 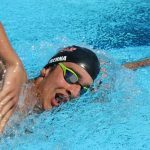 For best results you should be doing this regularly before you showed up the big swim meet, but some last minute visualizations can help you adapt to a new pool, the competition, the anxiety you might be feeling from the crowd, and so on. This is a tool that you can use to better prepare yourself for the moments when things go to Suckytown. Olympian Garrett Weber-Gale used visualization to get “comfortable” with that specific moment in his races where the pain was the worst. Visualization helped him to be mentally ready for the moment that makes or breaks our races. Focus on your performance cues. It’s easy to get caught up in what the competition is doing: the sport, by its very nature, is a competitive endeavor. We race against other people for records, medals, scholarships, high-fives, etc. 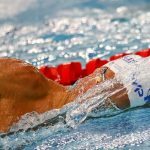 But getting bent out of shape by focusing on the competition does little to improve performance or your mindset: we can’t control how others swim, which gives us that rising lump of uncertainty and anxiety in our throat. Instead, focus on the race you want to deliver, and do so by listing out the performance cues for your race from beginning to end. “Loosey goosey,” you might tell yourself behind the blocks. “Easy speed,” you will tell yourself over the first 25 of your 100 freestyle. And so on. Pick a couple keywords for each segment of your race and build yourself a set of cues that will help guide you to a devastating result. When you think about your all-time awesome performances in the water, you think about how good you felt in the water. Less obvious is the mindset you had that day. The confidence. The clarity of focus. The “just right” sense of nervousness and excitement. On days where your race went full-blown off the rails, the mindset you had is probably the first thing you think about. The uncertainty before the race. The crushing feeling of impending not-awesomeness. The feeling of being watched and judged by teammates and friends. 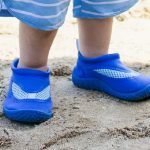 It’s rarely the physical preparation that causes us problems when we step up on the blocks: it’s the fear, the uncertainty, and misplaced focus. A proper mental warm-up before your races can help you to mitigate and overcome those moments in competition where your mindset gets away from you. Frustrated with inconsistent performances in training and competition? Tired of choking on race day? Want to finally conquer your mindset so that you can give your PB’s the beating they deserve? 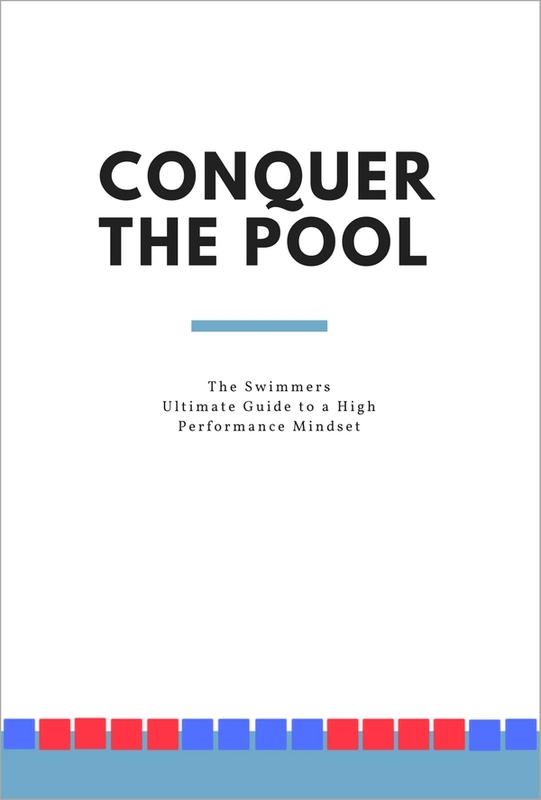 Conquer the Pool: The Swimmer’s Ultimate Guide to a High Performance Mindset might just be for you. Used and trusted by some of the top clubs and swimmers on the planet.